uPVC Brass MTA 1/2" & 1"
uPVC Elbow is available in 1/2", 3/4" & 1" (15, 20 & 25 mm) sizes, made from virgin material. uPVC TEE is available in 1/2", 3/4" & 1" (15, 20 & 25 mm) sizes, made from virgin material. uPVC End Cap Plain is available in 1/2", 3/4" & 1" (15, 20 & 25 mm) sizes, made from virgin material. uPVC MTA is available in 1/2", 3/4" & 1" (15, 20 & 25 mm) sizes, made from virgin material. 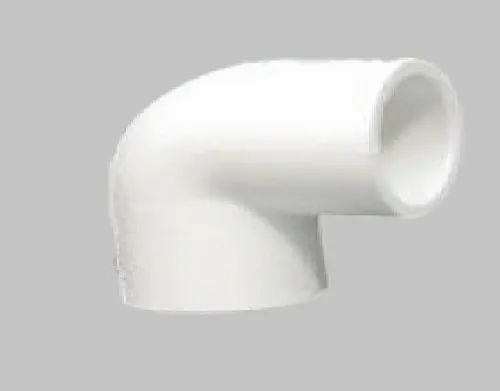 uPVC Reducing TEE is available in 3/4" X 1/2", 1" X 3/4" and 1" X 1/2" sizes, made from virgin material. uPVC Coupler is available in 1/2", 3/4" & 1" (15, 20 & 25 mm) sizes, made from virgin material. uPVC Reducers are available in 3/4" X 1/2", 1" X 3/4" and 1" X 1/2" sizes, made from virgin material.